Zephyr Epic is one of Canada’s most well-known card traders for everything from NHL to Pokemon. Last year we worked with them on a video campaign that had great results, naturally moving into a continued partnership on a follow up campaign. Our current project consists of two different campaigns with two different goals. This month’s shooting included a lot of logistics in order to make our script come to life, including a lot of prop outsourcing and hired extras. We shot over two days at our off-site studio, creating a series of videos that would showcase a specific high-end card. Part of what we value at our company is creating scalable content. 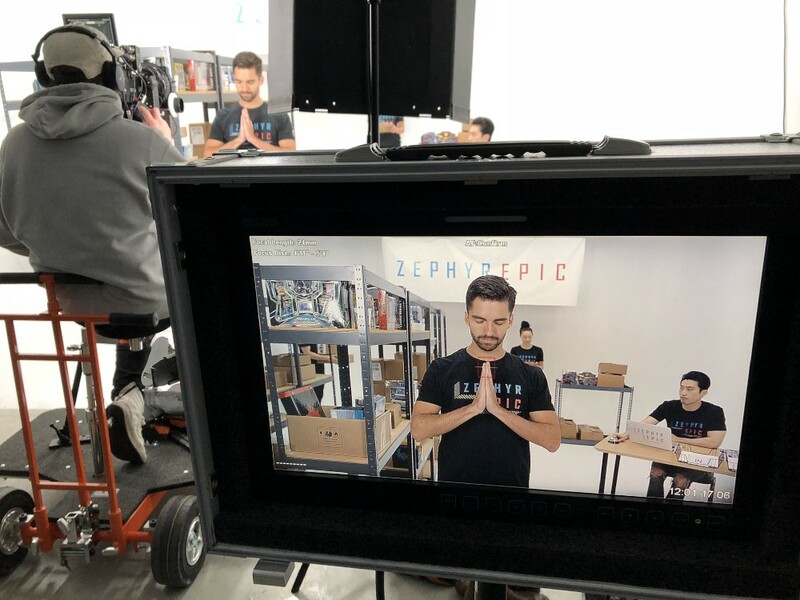 Zephyr is a great example of exercising our muscles in this—being able to create a plan, build substantial content, and carry it out in a way that brings real results for our customer. Stay tuned for the full case study! We’ve been working with Trinity Western University for quite a few months on different social media campaigns and video projects. Our most recent endeavour involves their nationally recognized men’s volleyball team. While most education shoots give you a breadth of personality and locations to work with, this shoot was even more unique. Our video team followed the men’s volleyball team closely from their Canada West games, all the way to competing in Nationals in Hamilton, Ontario. The nature of the long form video gave room for a whole new kind of creativity. The camera was there from the beginning of their day to the end, capturing everything from what they talked about over breakfast to their emotions minutes before stepping on the court. The intimacy of the experience was something that both our video team and really, no one besides players, had ever seen before. Be sure to watch Agency Media’s social channels for updates on the release of the full movie. To add onto this inspiring month, we can’t forget hosting CIMC up in Squamish, BC in the first few days of April. After a few weeks, we’ve gotten the chance to go back over some of the most motivational speakers like Duncan Wardle, former VP of Innovation and Creativity at Disney, and his talk on how to “think differently”. His talk in particular was impactful for our team and has even encouraged us to make sure we’re stretching ourselves, like finding ways to create environments for our different teams to learn from one another. You can also check out Rashel Hariri from McDonald’s Canada talk about social listening, Oli Gardner from Unbounce talk about landing page data, and Andrew Westlund from the Westlund Group talk about effective community. Looking for a little more inspiration? Check out what we’ve been learning on our recent post about the new Facebook algorithm.